… they’re all different and delicious in their own ways. 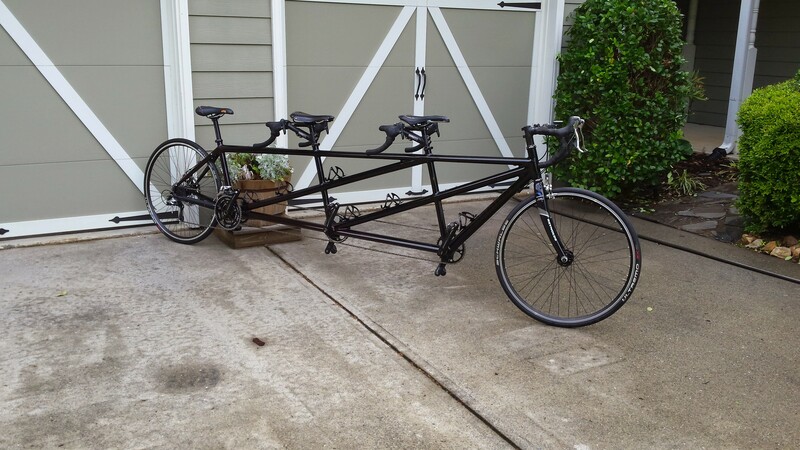 Sadly, I’m not able to offer some new and exciting insights on the ride qualities of a new tandem as we’ve pretty much got all the tandems we need, perhaps even one or two too many. The Calfee continues to deliver outstanding comfort and handling, even with the short fork rake and long steering trail of the True Temper Alpha Q X2 fork. I’ve toyed with installing a spare Reynolds Ouzo Pro Tandem fork with more rake to see if we’ve reached the point where extra straight line stability and the ability to handle a 28mm tire might be preferable to the riding-on-rails cornering of the Alpha Q and it’s max tire capacity of 25mm… perhaps next Spring? We’ll see. In my last blog entry I mentioned I’d be interesting in finding our 2002 Erickson Custom travel tandem but, alas, not a peep has come forth from that solicitation. And, quite frankly, that’s probably OK too. Debbie wasn’t all that keen on returning to a steel frame after 10+ years on carbon, remembering that she instantly fell in love with the Calfee back in January 2008. She saw no need to ever ride either of our steel Erickson tandems again… which is why we ended up selling them. 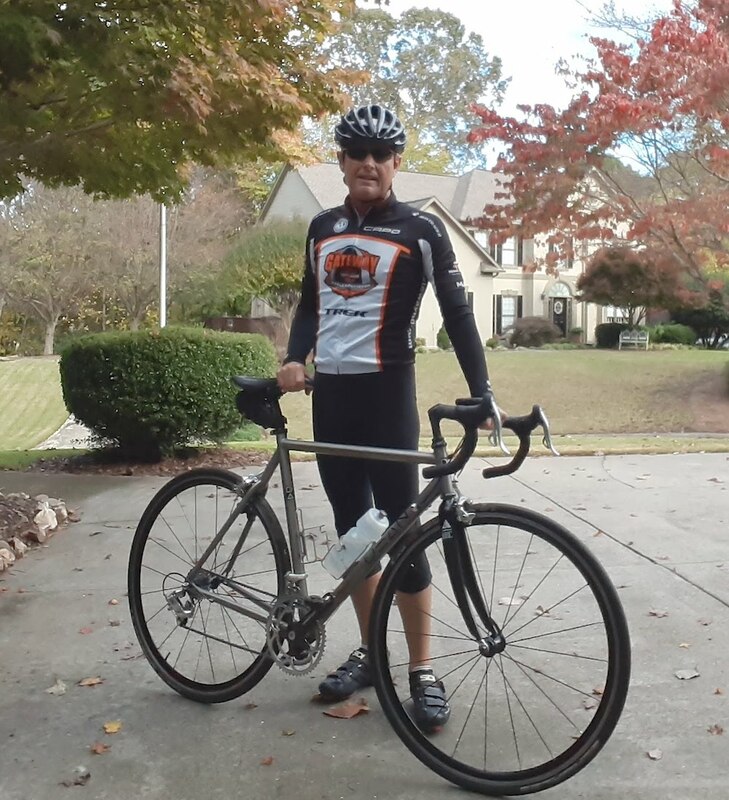 However, the impetus for the subject line on this blog entry was back-to-back rides on the recently resurrected single road bikes where the titanium Dean Castanza (photo at right) suddenly emerged as the bike I enjoyed riding the most on just a regular rolling loop ride. Yes, that means my all composite Calfee Tetra Pro came in second, with the Dedacciai Zero / Steel Erickson a distant third. Now, to be fair, and as noted in my previous blog entry on the single road bikes, the Erickson wasn’t fully sorted out when I first rode it and I hadn’t even ridden the Dean when I wrote that blog. 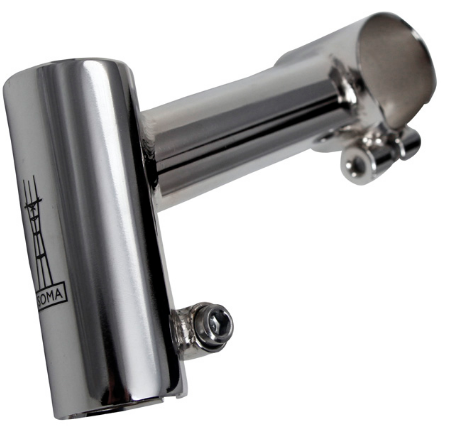 Since then I’ve ordered a taller stem for the Erickson — an 80mm tall Soma Crane model — that should raise the handlebars a net of 35mm. That will put it on par with the Dean and the Calfee in terms of riding position. I’m guessing the reward shift of CG and more upright posture will yield some positive changes in riding efficiency and comfort. The current, stock riding position with the handlebars 40mm below my saddle height is just too aggressive for my near 60-year old body. Now, if the weather would just cooperate! The colder temps have caused the tandem to be sidelined since late October as Debbie is not fond of riding below the 60°F mark and I’ve been rained out of solo bike rides for over a week thus far and. While it’s nothing compared to the long-term disruptions in life that folks who have been impacted by Hurricane’s Florence & Michael are still enduring — never mind the folks now being impacted by wild fires in California and more recent flooding from just seasonal, non-tropical storms — riding on a near daily basis was a major part of my retirement plan so I’m struggling with that a bit. Now, in terms of the other tandems I alluded to, I’m still not getting a sense that Debbie’s all that interested in getting back on the off-road tandem for trail riding. I’ll take a run at it again next year, but I’ve deferred any further work on the Ventana — it’s about due for seal replacements — until we get out for at least 4 rides. Otherwise, I’m just wasting money on servicing a fork the next owner may not care about. Yes, next owner. 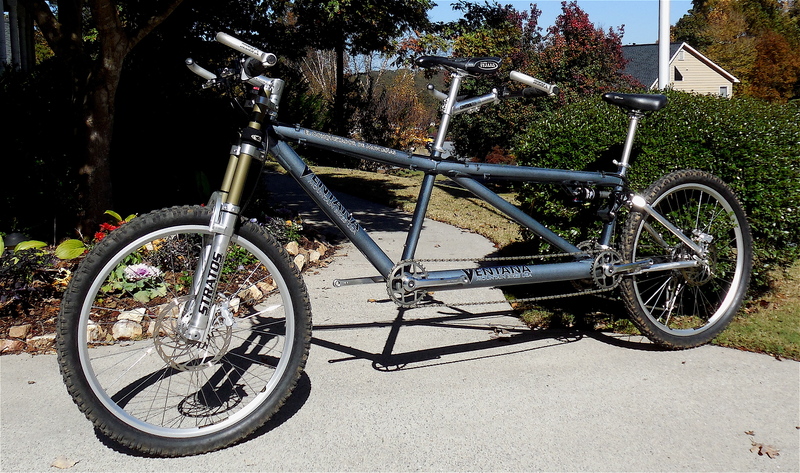 It really makes no sense to hold onto a tandem that’s not going to be ridden, especially one like a full-suspension tandem where things like seals and fluids don’t last forever. That leaves the triplet which may also be a bit in doubt. When we first bought it the idea was we’d have it available for the three or four big rallies we always attend here in the Southeast where one of two or three gal-friends has usually been available to “stoke” the triplet. But, I sense there may be a shift in guest stoker availability and, unless our granddaughter Caroline decides she’d like to ride with the grandparents, it too will just collect dust. So, it may be short-lived as well. Oh, it’s so hard to part with the bicycles!! Guess that’s why we still have 12-13 of the things here at the house. Like I said, good bicycles are like fine wines, they warrant collecting so that you can savor their individual and unique characteristics every now and again. At least you have entertained the thought of letting the less used bikes go. I have not reached that point yet, although I should.